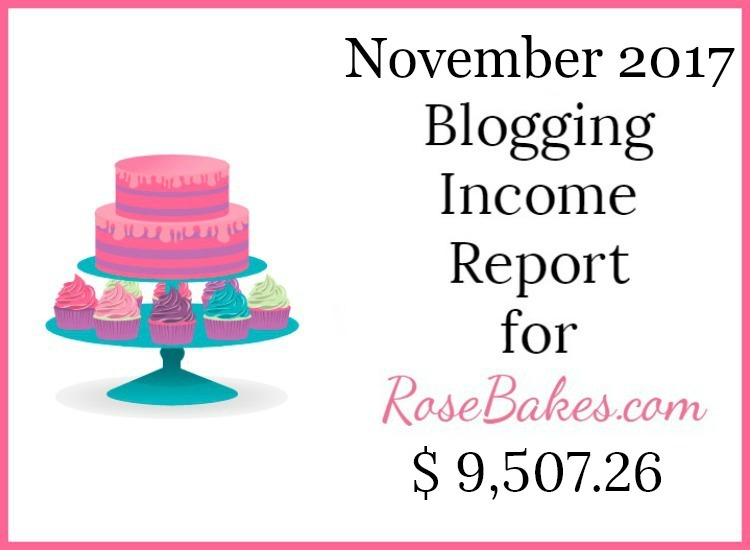 November 2017 Blogging Income Report. I’m determined to wrap up my 2017 Blog Income Reports if it kills me. Besides, I’ve been really dying to actually know how well the blog did (or didn’t do) during November and December and with the buying a new house and moving, sickness, and starting back to school… I just haven’t slowed down. 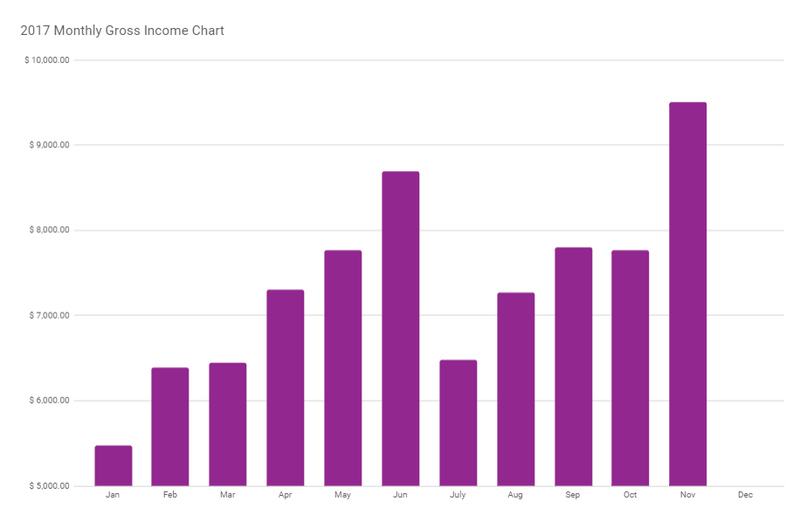 Spoiler alert… November and December both were fantastic months for my blog income. Today I’m only sharing November, but I’ll get December up in the next few days because I’ve already compiled the numbers. The goal I set for 2017 was to increase my gross income every month in 2017. I didn’t set a specific percentage (although that’s something I may need to think on), but I just wanted to see steady growth for the whole year. I didn’t hit that goal with the big summer slump (oh mercy, July, you killed me), but I’m happy to see that after summertime, things have steadily picked back up and November was a HUGE improvement! Another thing that thrills me about November is that I barely worked. As I mentioned above, we bought a new house. We actually closed on November 30 but the days and weeks leading up to that were more stressful than I would’ve ever imagined. 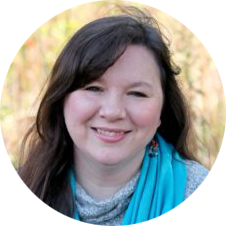 I couldn’t focus on anything in the midst of all of that – not blogging, not homeschooling, not even my regular housework like laundry and cooking. Everything was neglected. With everything going on, I published 18 blog posts in those 30 days, which is actually a lot. But hear me out. Five of those posts were re-published old posts (not a lot of work), six of them were sales/deals posts (which are super easy and fast to put together) and three of the remaining were written by my assistant (the cake contest posts). Ya’ll… that means I only wrote FOUR new blog posts for the whole month. That’s one per week. And I earned almost $10,000. That’s so incredibly exciting! But none of them were my biggest traffic drivers. I dug into my stats for November and unlike last year, I didn’t have one crazy popular new recipe that earned me a ton of money. 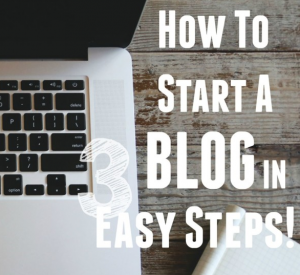 Instead, I had a few old posts that really picked up steam and drove a lot of traffic. There were several others that brought a significant amount of traffic, but I’ll limit my list to five. This is actually really good news for me. It means my evergreen content is starting to provide long-term income. That’s work that I did a long time ago, earning me regular income now. That’s so awesome! I’m realizing now that I can work less, produce high-quality content and still have good earning potential. « I almost doubled my Facebook Fan page in 2017!